June, July and August--those words mean something important to us: vacation time! Many of us hit the road or the skies some time during the summer break. While vacation is a time to indulge, some of us do not want to totally derail our diets. (After all, you worked so hard all year--right?) In fact, sometimes indulging a little too much can make us ill while on vacation. (I have spent my share of vacation days holed up in the hotel room. Not fun!) Here are a few ideas that I have for keeping your diet more under control while indulging. Pack a cooler for a road trip: With your own cooler, you have more control over what you are eating if you pack it yourself. Make sure to include plenty of veggies and fruit. We usually pick heartier items like apples and carrots. Take advantage of hotel rooms with kitchenettes: If you have a kitchenette, use it! You do not have to use it for every meal. However, each meal that you can make on your own will undoubtedly save you some calories. Research airport food options before leaving: The internet is a many splendered thing, indeed! I like to check out food options at the airport before my trip to give me the biggest odds of finding healthier options. I am irked when I find hummus and fruit after I have scarfed down a piece of pizza. I love to save my calories for somewhere other than the airport! Share meals: Most meals at restaurants are way too large. When on vacation, my husband and I like to share meals so that we eat a more appropriate amount. To really lighten it up, one of us will order a light garden salad (dressing on the side) and the other will order a meal. Don't be afraid to supplement: We do allow our daughter to get away with a few extra treats. 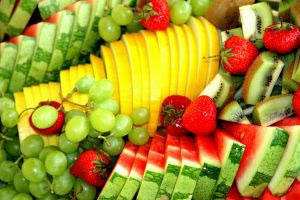 However, we do try to bring enough fruit and vegetables with us that she can eat them after her meals. Restaurants really short change you on the veggies and fruit! With some of our fruits and veggies, we are all getting more nutrition. Research grocery stores and restaurants before leaving: If you already know some of your food options going in, you will be able to make better choices. Carry some healthy snacks in your bag: Vacation often include waiting in lines. Keep some healthy snack options in your bag to munch on when other food is not easily accessible. This will help keep you from being famished with the resulting binge eating when you finally find food. 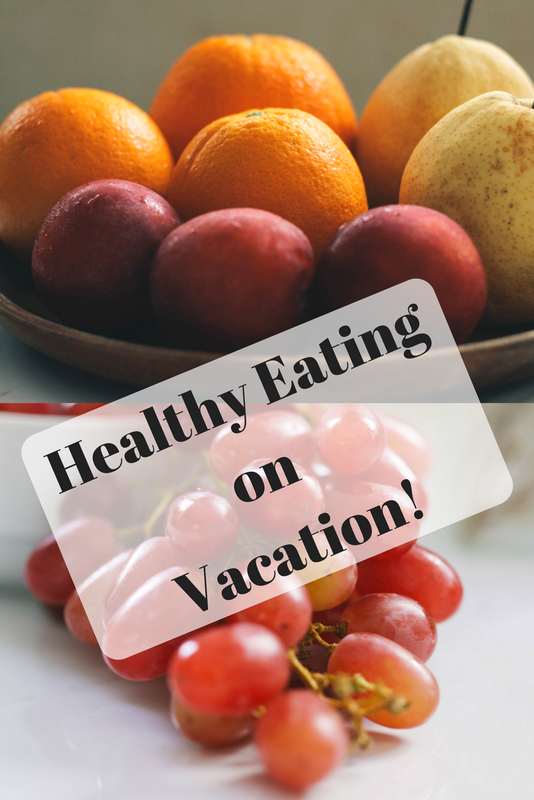 These methods help us watch our diet while on vacation. Now, we definitely indulge. However, with a little thinking, we can keep our diets more on track!